The event is sponsored by the Department of African American Studies in the College of Arts and Sciences. It is free and open to the public. For more information, contact aas@syr.edu. Brangman earned her medical degree from SUNY Upstate Medical University and completed her internship, residency and geriatric fellowship programs at Montefiore Medical Center in the Bronx, New York. She is board certified in internal medicine, geriatric medicine and hospice and palliative medicine. 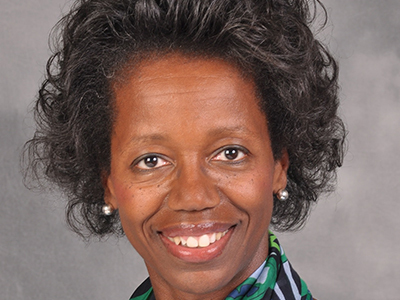 Dr. Brangman serves as fellowship director for geriatric medicine at Upstate. She is director of the Center of Excellence for Alzheimer’s Disease, is also medical director of the Transitional Care Unit on the Upstate Community Campus and is medical director of Greenpoint/The Hearth Senior Living Communities in Syracuse. Brangman has received many honors, including Best Doctors of Northeast Region, the Chancellor’s Award for Faculty Service and Hartford Geriatrics Leadership Scholars Award. She was a member of the board of directors of the American Geriatrics Society for 10 years, and completed terms as president and chair of the board. She currently serves as chair of the board of the Association of Geriatric Academic Program Directors, after completing a term as its president.